In Egypt, the Ebers papyrus dating back to the year 1550 B.C. describes all the diseases and medical treatments that Egyptians were aware of the time. They knew about conditions such as cataracts, inflammation, granulation and dacryocystitis.2 While there is no evidence of surgery being performed at that time, history suggests that the Egyptian remedies worked, as Greek historians noted the king of Persia sought an ophthalmic recommendation from the king of Egypt. Georg Joseph Beer introduced Beer’s operation as cataract treatment. 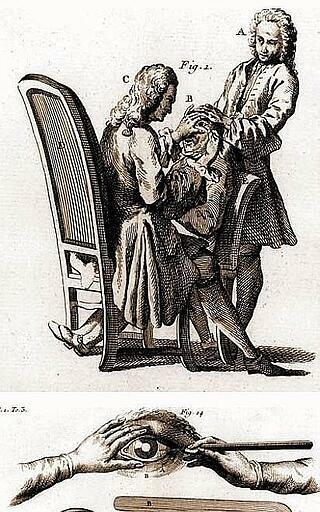 Baron Michael Jojann Baptist de Wenzel, the oculist of King George III, removed cataracts with great skill and legitimized the field. Hermann von Helmholtz invented the ophthalmoscope in1851. Marshall Miller Parks – considered the father of pediatric ophthalmology. His studies in amblyopia and strabismus gave him world-wide reputation. Charles D. Kelman – devised the cryo-probe for cataract extraction and in 1975 began designing lens implants to use in cataract surgery. Sir Harold Ridley – the father of the intraocular lens. He was the first to create and implant this lens in a two-step procedure in 1950. Charles Schepens – deepened the study of the retina until it became a subspecialty of its own. He invented the indirect ophthalmoscope, still used to view the retina and is considered “the Father of Modern Retina Surgery” by raising the success rate of retinal reattachment surgery from 40% to 90%. José Barraquer – acknowledged as the father of refractive surgery. His work was focused on the idea of reshaping the cornea to change the eye’s refractive power, eventually leading way to LASIK surgery. 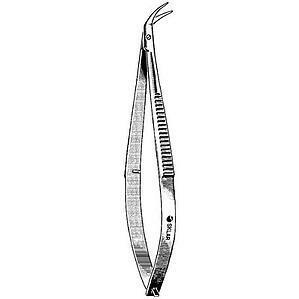 Sklar is proud to offer several of Castroviejo’s surgical instruments. You may browse through these and many other high-quality ophthalmic instruments by clicking the button below. 1 Wheeler, J.R., History of Ophthalmology Through The Ages (May, 1945). 2 History of Ophthalmology, Medical Research Council/Royal College of Ophthalmologists. 3 Meda, N; Bognounou, V; Seni, E; Daboue, A; Sanfo, O., "Cataract in Burkina Faso: Factors of choice between modern and traditional surgical procedures" (November, 2005). 4 Bacon, Roger.(1987). Bridges, John H. ed. The ‘Opus Majus’of Roger Bacon: Edited with Introduction and Analytical Table, Vols. I and II, Oxford: Horace Hart for the Clarendon Press (1987). 5 Smith, Yolanda, History of Ophthalmology, (News-medical.net, 2016). 6 Ramón Castroviejo, Developer of Cornea Transplant Procedures. (New York Times, January, 1987). 8 Thank You Baby – The Sid Sklar story, (National Keratoconus Foundation, February, 2009). 9 Polack, F.M., Ramon Castroviejo 1904-1987 (Cornea, September 19, 2000).